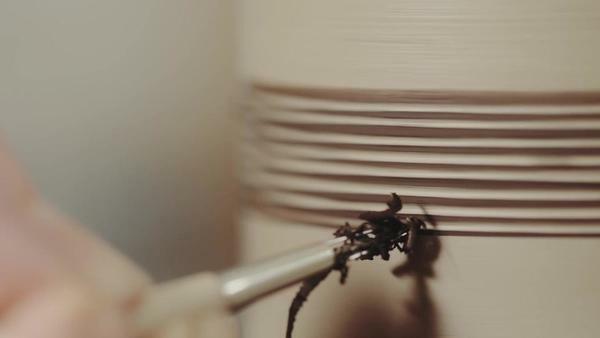 The video shows the in-depth, precise processes involved in the craft of James and Tilla. Their partnership combines James’s making skills with Tilla’s love of colour and design. 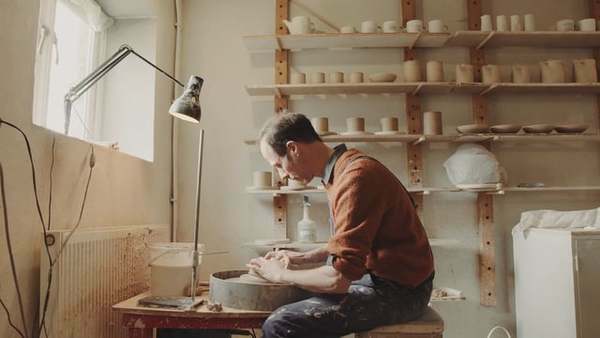 Their practice is rooted in the production of thrown tableware, using both stoneware and porcelain clay bodies. Their partnership combines James’s making skills with Tilla’s love of colour and design. With the film I wanted to emphasize the close natural sounds of James and Tilla’s world, to create a captivating, and at times abstract, reflection of their art.